Making new payment plan on PayWhirl is quick and easy. 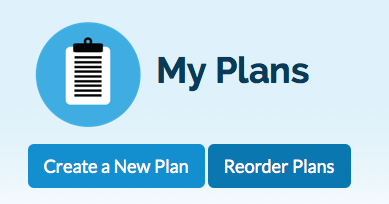 From the dashboard, click on "My Plans"
On the plan page, click "Create a New Plan"
Fill out your plan name, the setup fee (if you'd like one), and specify the number installment (or leave on no limit). The Setup Fee will only be charged once at the time of sign up. Payments with a set number of installments will eventually end for the customer (after they pay the last installment). For example: if you had a product that is $100, but wanted customers to be able to pay in two separate $50 installments, you would set the Plan Amount to $50, and the Installments to 2. Next, set your Billing Charge Amount and Interval, which is how much the subscriber will pay, and when/how the system should bill them. You can also set your currency and whether or not you will require the customer to enter a shipping address. You can optionally set a trial period if you would like to offer the plan for a certain time without charging the subscriber. Note: Trial periods are specified in days and cannot be edited once they are created. For the "Enabled" setting, choose "Yes" if you would like to start offering the plan right away. Choose "No" if you would like it to remain hidden from the main widget. Disabled plans can still be selected in the Widget Builder are hidden from the main widget or customer's subscription manager. For the "Starting Day of The Month" option, you can set which day you would like the subscriber to begin being charged. For example: if you set your Starting Date to the 15th, and a customer signs up on the 7th, that customer will not be charged until the 15th. Also, if a customer signed up on the 16th, that customer would not be charged until the 15th of the following month. This can be helpful for companies that only bill once a month on the same day of the month. The "Plan SKU" and "Fulfillment Method" spaces are for Shopify Users Only. If you use a Shopify fulfillment solution, set the SKU for your product here. I MUST match the SKU you use for fulfillment exactly. Additionally, there is a setting that let's you create layaway type products on Shopify using orders... You can choose to have orders placed after EACH installment is made... OR... Only after the LAST installment has been paid (like layaway). Note: When plans are set to "no limit" orders will be placed on each installment. Finally, just save your plan! TROUBLESHOOTING: If you cannot save a plan because the button is greyed out or not working you most likely have something in the form that PayWhirl cannot accept. Usually it's a $ in the price field. Just remove and special characters like $ and you should be able to save the plan.